Research is consistently clear. 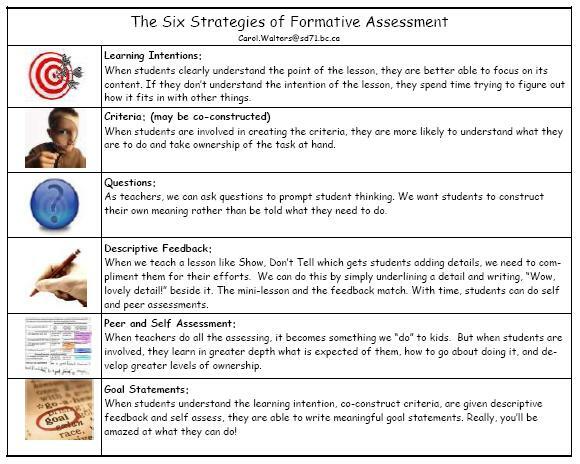 In classrooms where the six strategies of formative assessment are part of daily assessment routines, children are engaged, motivated and taking ownership of their learning. 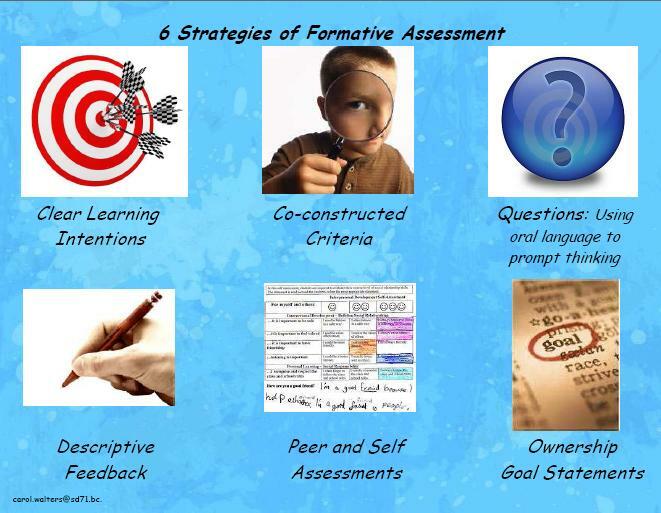 Please give careful consideration to the use of these strategies as part of your assessment repertorie.